Your home is your haven, the place you come back to after a hard days work to unwind and destress. It’s the place you come to as a solace from the outside world. 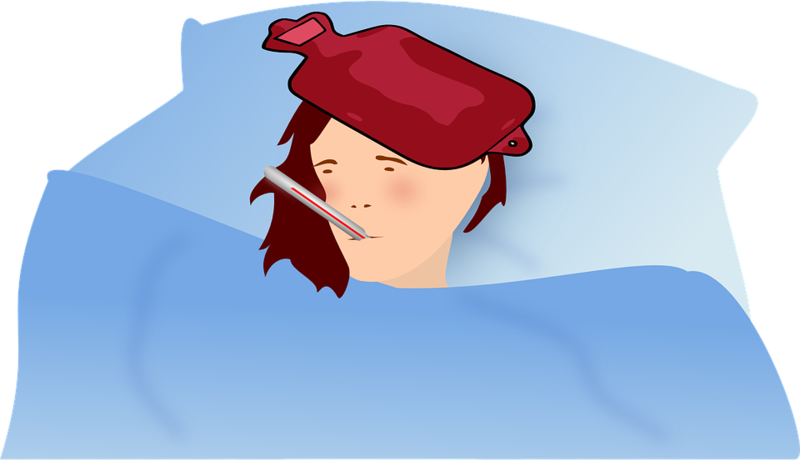 However, if you have been feeling unwell recently, your home may be the problem. Rather than blaming your infections or illnesses on the weather, your colleagues at work, or the kids bringing home numerous sickness from their schoolmates, there may be issues within your four walls that are the cause of your health problems. In this article, we will look at some of the common reasons our homes can make us ill. In some cases, you will need to consider repairs, such as from your local handyman or a property management company if you rent (see page). You may need to change the way you live too, and make alterations to your property. Your health matters, after all, so it’s important to take steps to remedy any prevailing issues. Particularly if you have a family living under the roof with you, there will be some level of noise and clutter invading your living space. For some people, this is fine. For others it can be a nightmare, and can add to stress levels. As well as the mental effects of stress, there are the physical symptoms too, such as fatigue, high blood pressure, and tension headaches. Tip: Declutter the house of stuff by adding to your storage space, or selling items that are no longer needed. Then instigate a few rules. You deserve to live in an uncluttered house, so get your family involved with the household chores. You deserve some level of peace and quiet too, so encourage your family to practice quiet behavior, and find room in your home to escape to for your quiet sanctuary. By appliances, we are talking about a broken freezer, refrigerator or cooking appliances. Considering food needs to be stored and cooked safely, you are in danger of food poisoning if your appliances aren’t up to scratch anymore. Tip: Check the temperatures on your fridge and refrigerator and make sure they are operating at the right temperatures. Give your refrigerator a good clean too, making sure there are no spillages or dirt that could cause bacteria to grow. Do the same with your other appliances, including the microwave, blender, and your regular oven. If you discover that any of your appliances aren’t operating correctly, it is time to replace them with something new. Your aircon needs to work at optimum level, cooling your home in the warmer months and heating things up when the temperature drops. If you have been suffering from colds and other respiratory illnesses, there may be issues within the air-conditioning. Tip: The aircon may not be working at all, in which case, you do need to get it fixed. On the other hand, it may need a good cleaning. While it may be warming and cooling the air as appropriate, there may be traces of water left in the ducts that have formed a breeding ground for bacterial growth, such as mold. You will need to get the professionals in to carry out the work safely and thoroughly, in either case. There are all kinds of areas where water leaks can enter your property. There may be gaps in your roof, around your windows and doors, and on walls that have suffered structural damage. Then there is the pipe work, especially in your bathroom and kitchen areas, where leaks may be present. You should also consider the issue of condensation, which is the buildup of water in rooms with poor ventilation. In all cases, the risk of damp and mold is high, causing respiratory illnesses and headaches. Tip: Check everywhere around your home for signs of a leak. This includes each room in your home, as well as hidden pipework and the roof. You should also look out for the telltale signs of mold and damp, noticeable in both look and smell when you walk into the affected room. If you aren’t sufficiently trained, don’t carry out any maintenance work yourself. Call a plumber or roofer to deal with any issues, and then damp proof your walls in problem areas to alleviate further issues. Oh, and remember to open your windows in both your bathroom and kitchen, or renovate those rooms with added ventilation sources. These microscopic bugs thrive on commonly used furniture because of the humidity of our bodies. Your favorite sofa is one such spot for these pesky miscreants, and so is your bed and pillows. For many people, dust mites aren’t a huge problem. 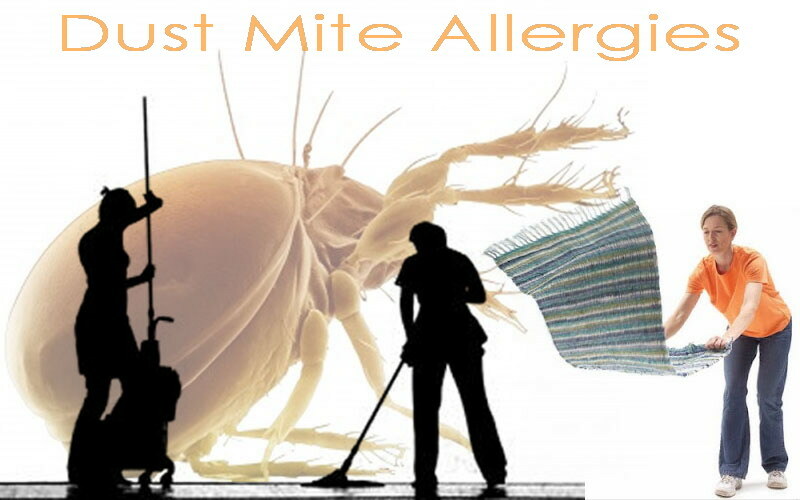 However, for those who are susceptible to allergies and asthma, dust mites can be the trigger for the symptoms related to these health issues. You can’t see them so swatting them isn’t the answer, but there are other ways to get rid of them. Tip: Quite simply, keep on top of the housework. The more vacuuming and dusting you do around the house, the less chance there is for dust mites to thrive in any great number. You should also wash your bed sheets, pillowcases and towels on a weekly basis in very hot water, and then hang them out to thoroughly dry. The hot temperature will kill off the mites, and regular washing will keep them at bay. Another practical solution is to purchase specially designed covers for your pillows and mattress, encasing your bedding with protection to keep those blasted mites out. By cleaning your home regularly and keeping on top of any repair jobs around your property, you will reduce the risk of your home making you ill. Getting your family to follow a few simple habits will help as well, from cleanliness and good hygiene to having quiet time to give you a break for your sanity levels. Let us know if you have any other tips of your own. Thanks for reading! omg this post is so interesting!! Thanks for sharing this important information. Cleaning appliances is something I need to do asap. Wow – I’m reading this as I’m actually home in bed struggling with sickness (I’ve had to call in sick from work for the past 3 days ahah!) Great tips! This is a pretty interesting post. I never thought your home could get you sick, but i guess it can.